I just got back from my annual family vacation and the traveling reminded me how people hurt their back while traveling. I practice in Manhattan as a Chiropractor in a Pain Management facility, so naturally I see people that are in pain everyday. New York City is a metropolitan city and people that have to work here often have to fly everywhere around the globe. Once they get back from their trip we are usually the first person they call to un-kink their back or release neck tension or reduce the pain of a flared up rotator cuff muscle( shoulder pain). After traveling and actually injuring my neck and shoulder, I have made several observations that may help anyone prevent injuries in the future. I have listed the most common ways to injure and prevent the injuries below. 1.) 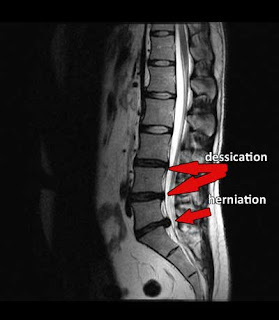 Getting the luggage out of the trunk, this is probably one the ways patients flare up a disc in their lower back. My recommendations is to let the taxi driver get it and give him an extra dollar or two, he will be happy and your back will be spared. If you need to get it yourself, be sure to bend your knees and use your legs to lift. Also be sure to keep your stomach tight and don't forget to breathe. 2.) Getting the luggage out of the carousel is the best way to pull out your neck and shoulder, This can be avoided again by paying an attendant an extra dollar or two or lifting smarter using legs. Once on the plane, train or car most people fall asleep with their neck in a odd angle. This is a sure way to wake up with a kink in the neck. I travel with and recommend to my patients a traveling cervical pillow. This helps to keep the neck in a neutral position. I love the tempurpedic cervical pillow. While sitting it is important to have the knees lower then the pelvis and have support behind the lumbar area. I like to use the pillow and place it in the small of my back this helps to create a lordosis.